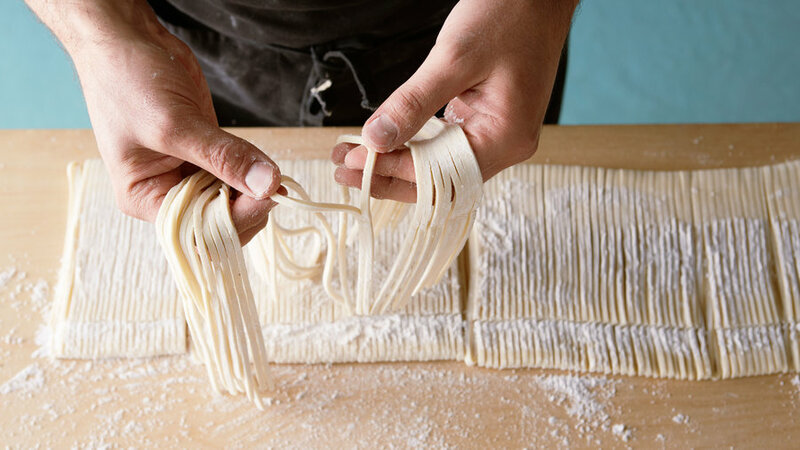 Sicilian by birth, Angelo Garro, a San Francisco blacksmith, still makes pasta the way he learned to as a boy. 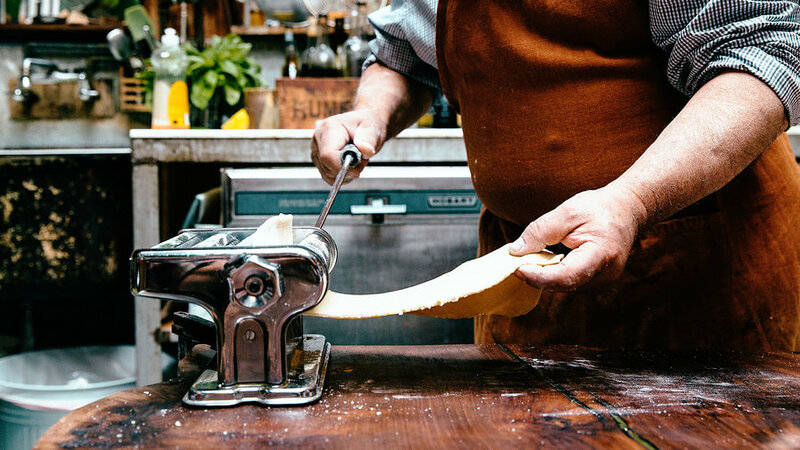 Berkeley chef and cooking teacher Samin Nosrat shows us how to make a Southern Italian specialty. 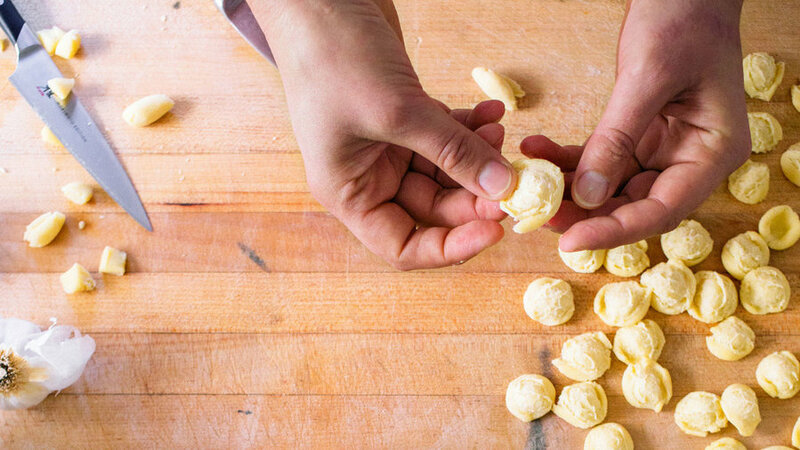 Watch how easy it is to make it from scratch in our video. 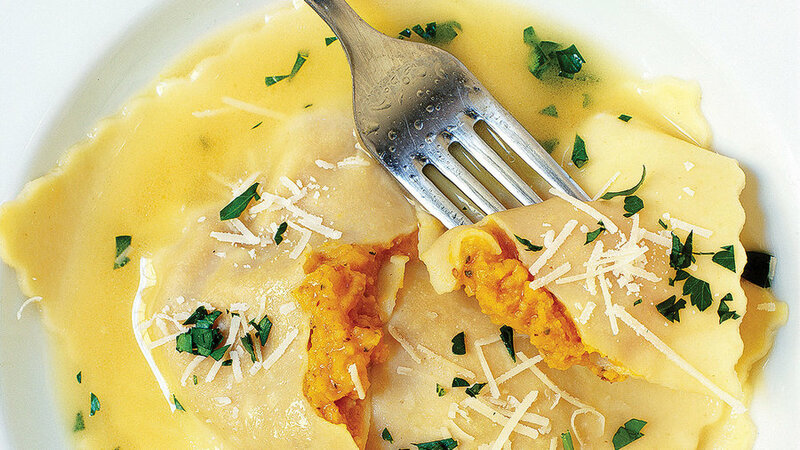 So simple, yet so good: This pasta exudes the essence of Italian eating. 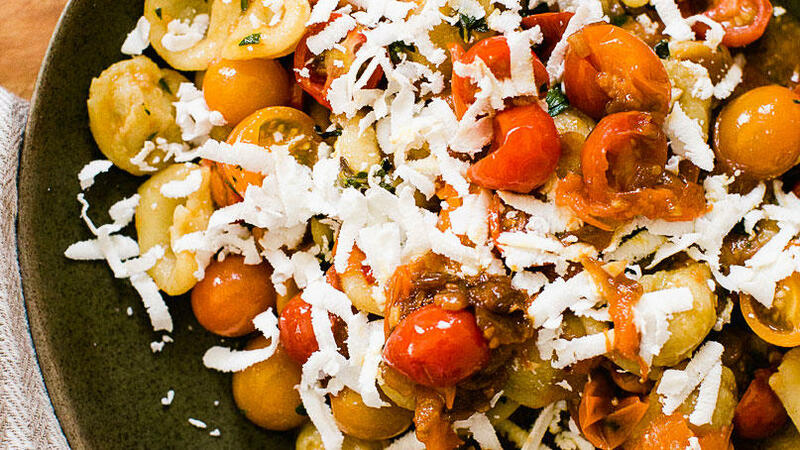 With its cupped shape, orecchiette cradles the jamlike, cooked-down tomatoes. 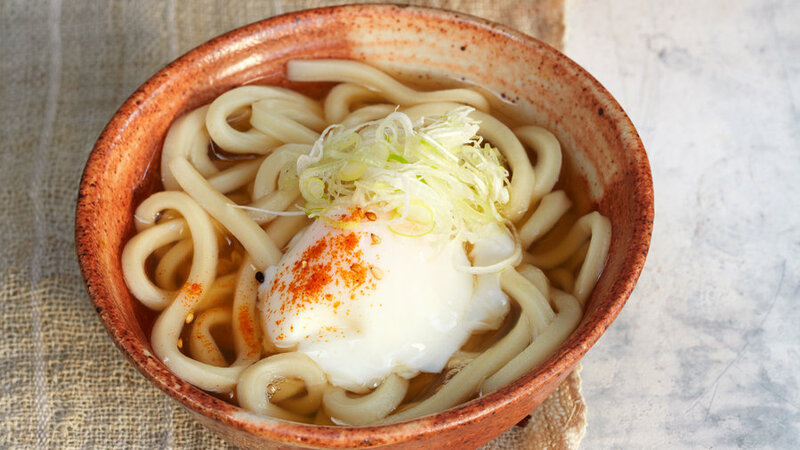 San Francisco chef Sylvan Brackett, owner of Rintaro restaurant, showed us how to make his wonderfully springy fresh udon noodles—and gave us several ways to use them. 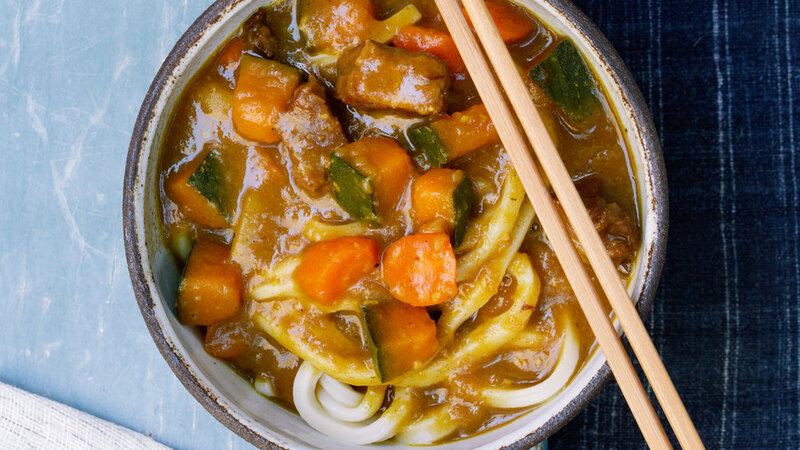 “Kare” is Japan’s version of curry, and this thick, velvety, spicy stew is fusion at its best. 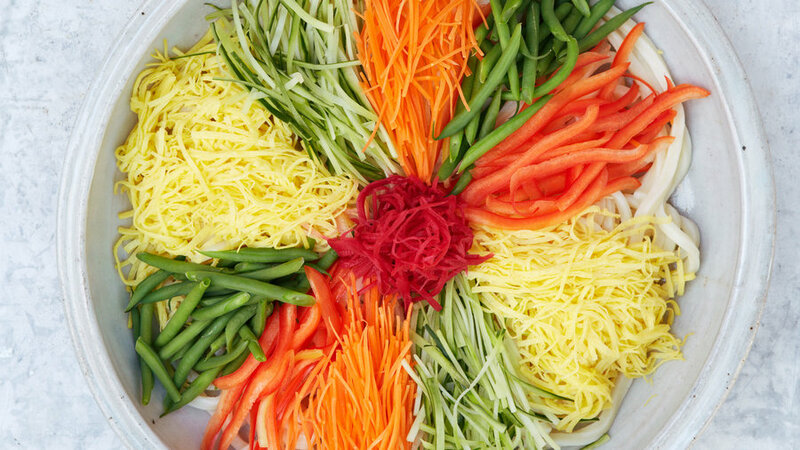 Tangy, crunchy, and full of raw vegetables, this is just what you want to eat when it’s boiling outside. 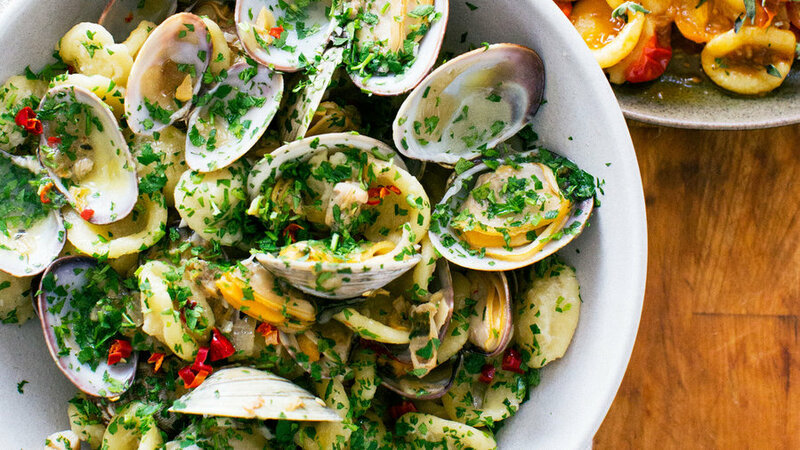 A simple, delightful dish with just 5 ingredients. 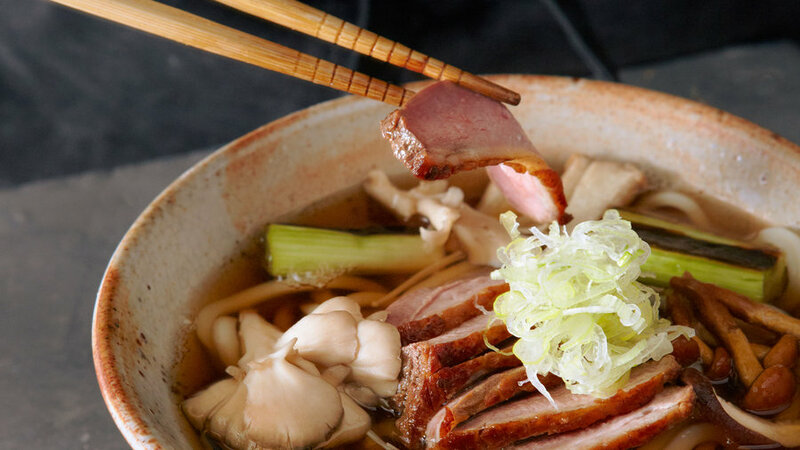 Crisp-skinned roast duck floats on chewy udon and earthy mushrooms in a smoky broth.